This is a display of the final product, including branded stickers. Minifigure included for scale, not part of the project. 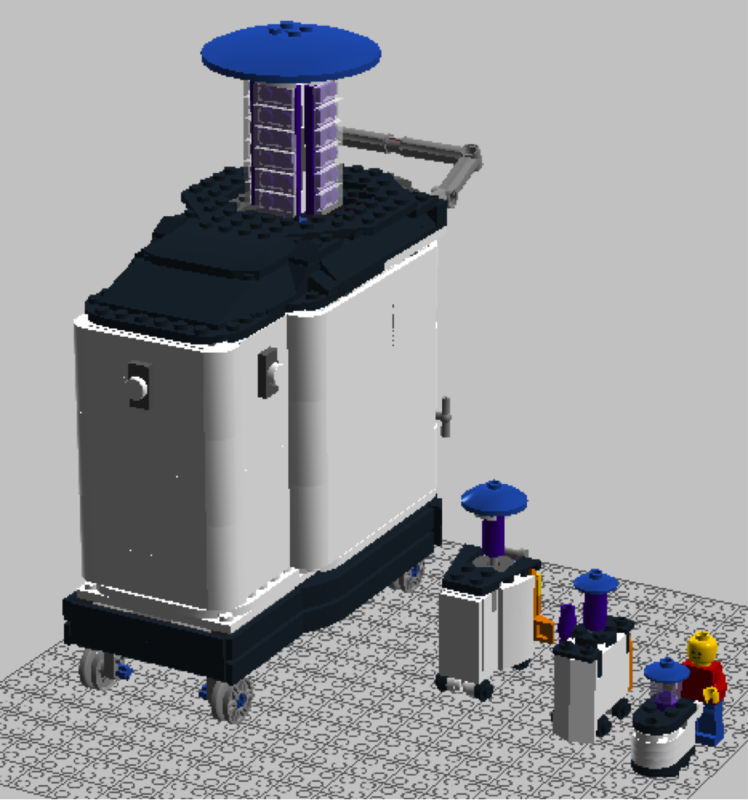 Designed to look like normal LEGO instructions, the images of the pieces were pulled from BrickSmith, I used the program to build the model step by step. The images of the pieces were then combined in Photoshop and additional graphics were added. 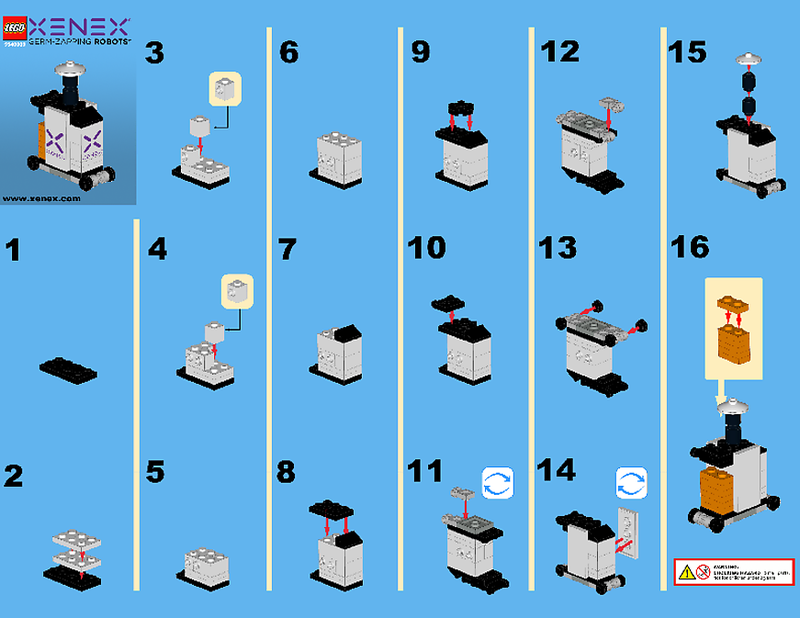 This was the final design selected by Xenex after a few iterations. This was builtin LEGO Digital Designer. 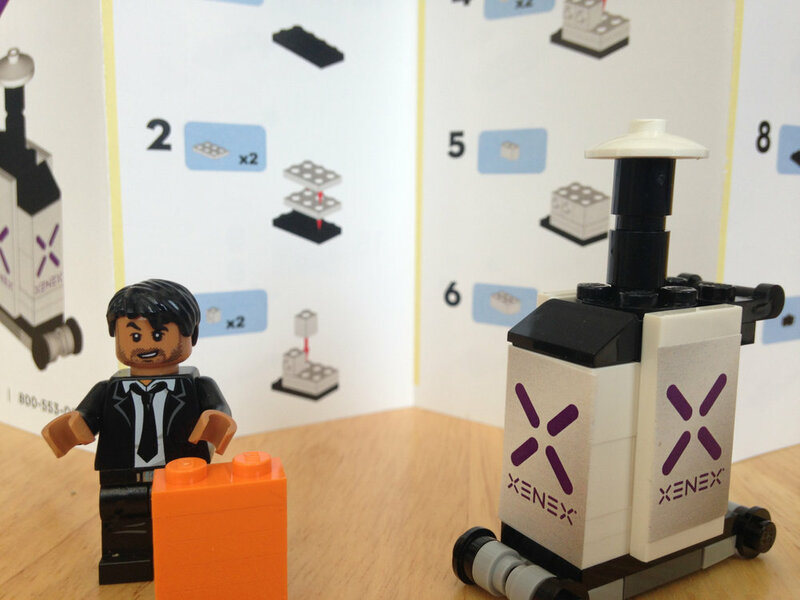 With photos of the Xenex Robot, I created 4 scale models in LEGO Digital Designer. The largest was designed with LEGO Technic in order to mechanize the raising and lowering of the UV light. The smallest was Minifigure-scale so that it could be displayed with Official LEGO Hospital and Healthcare products. The final design was a variation of the second-largest.